Based in Los Angeles, the festival has become a vital source for experimental cartoon filmmaking in a relatively short amount of time. LOS ANGELES — Every year, the Eyeworks Festival of Experimental Animation travels to several cities across the US, screening a curated program of animated shorts for fans of animation or just plain cool stuff. Based in Los Angeles, the festival has become a vital source for experimental cartoon filmmaking in a relatively short amount of time since its founding in 2010. This month, venues in Los Angeles, Chicago, and New York will be hosting 2018’s Eyeworks festival. The festival presents new works but also brings out older animated shorts, both from veteran animators and from obscure figures. And they dig deep; one short is from a 1987 public television documentary about William Carlos Williams, animated by Maureen Selwood to illustrate the process behind the poem “This Is Just To Say.” Other historical curiosities include 1985’s Calculated Movements, an early computer-animated film by Larry Cuba which turns a simple visual program into an elaborately choreographed dance of abstract visual objects, and Mary Beams’s 1976 film Paul Revere Is Here, which plays audio of real-life visitors to Boston’s Paul Revere statue over an animated silhouette of the landmark. This year, the festival is honoring Japanese animator Naoyuki Tsuji, whose works have a distinctive tactile, handmade aesthetic comparable to that of Don Hertzfeldt. Tsuji uses a dry-erase method, meaning he animates his shots and scenes by reusing the same canvas — drawing a frame, photographing it in 16mm, then erasing the frame and drawing the next sequence on the same material. As a result, his characters seem to be followed by their own ghosts as they act, their movements recorded in an eerie series of images. Recurring motifs include mirrors, demons, clouds, and dreams, all interacting in ambiguous shorts that are ineffably sinister, entrancingly beautiful, or both. Other contemporary selections demonstrate some of the most mind-bending animators working today. 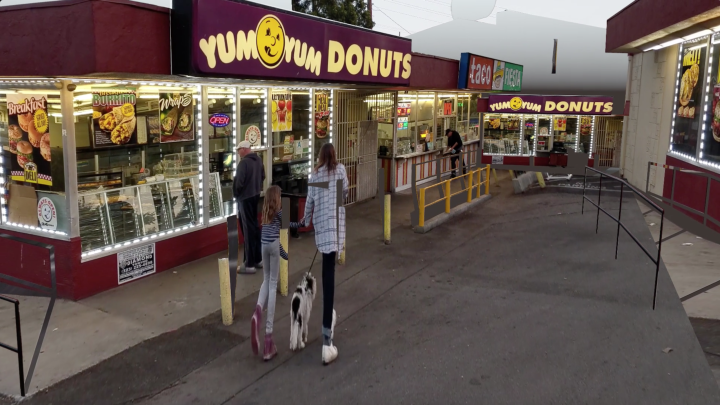 In Takeshi Murata’s Donuts, footage of a strip mall is warped and distorted, a slow pull out of the camera revealing that it’s all part of a massive fractal-like structure. Cheng-Hsu Chung’s Adorable embarks on a journey through queer spaces with a protagonist exploring his sexuality; as befits the subject matter, it uses extremely fluid animation, with figures not so much moving as they do pour themselves from one place to another. Theo Chin’s Pinakothek, framed in extreme widescreen, features a search through a cyberspace art archive in which 2D-animated characters wander a 3D space. Oliver Laric’s Betweenness is a series of line drawings, some of them simple, others complex, all of which smoothly morph from one form to another. Each short is entirely distinct from the others, representing the infinite possibilities of the animated canvas. The Eyeworks Festival is an event unlike any other, and anyone living close to one of its locations should drop in. 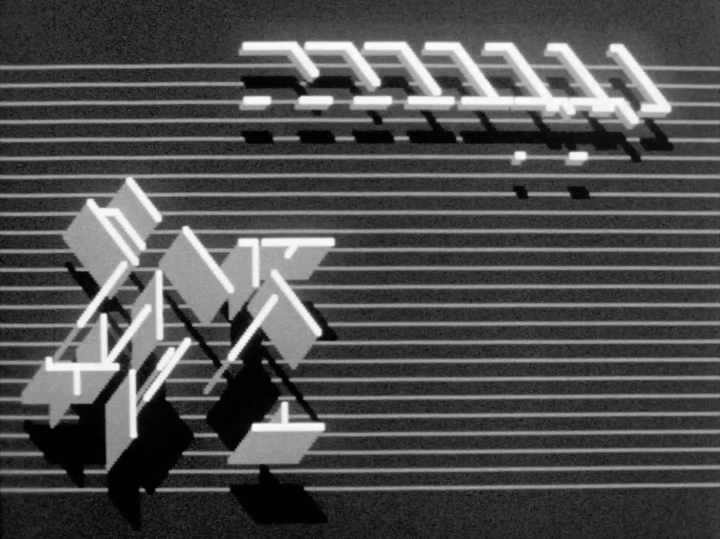 The 2018 Eyeworks Festival of Experimental Animation will take place November 3 at REDCAT (631 W 2nd St, Los Angeles), November 10 at the Block Cinema (40 Arts Cir Dr, Evanston, IL), and November 26 at Pioneer Works (159 Pioneer St, Red Hook, Brooklyn).